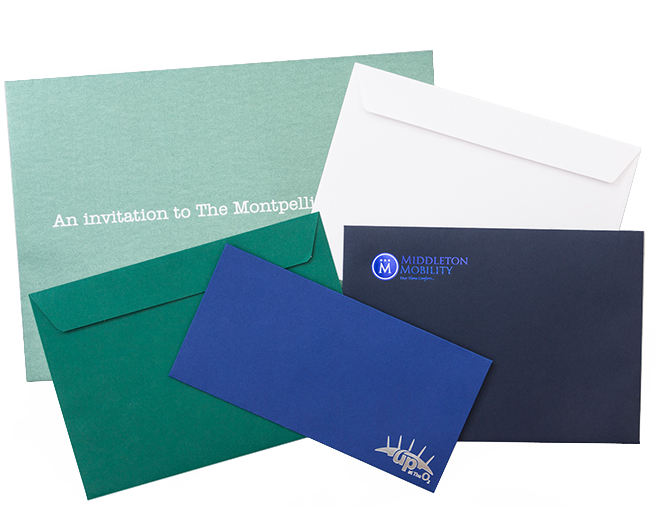 Enhance the presentation of your envelopes with eye-catching design, colourful print and superior quality finish. 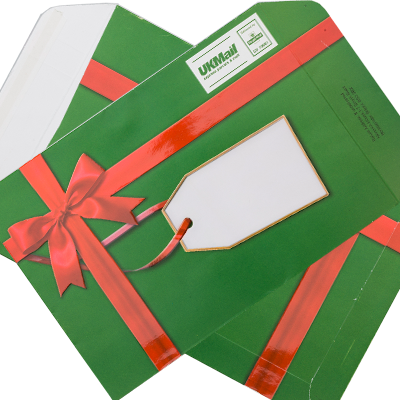 Personalised Envelopes that will send the right message to your customers. Looking for something a bit different? 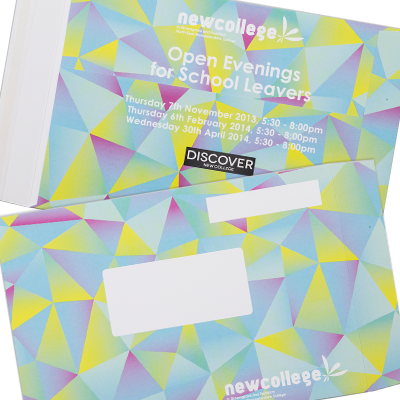 We can create bespoke envelopes that will make the right impact. 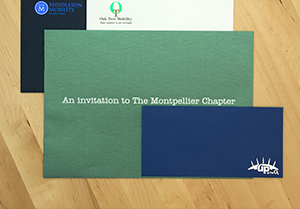 Distinctive printing and finishing options to make your envelopes stand out from the crowd. 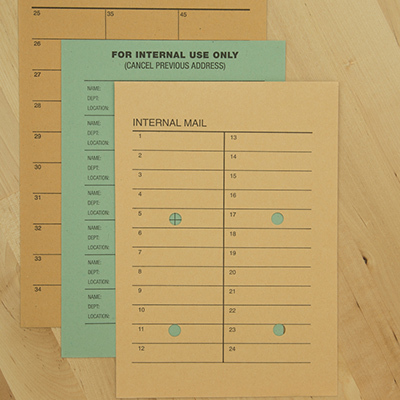 465 different standard plain envelopes to choose from. Variety is the spice of life so make your choice! 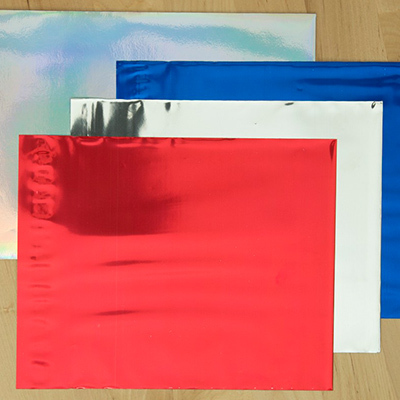 Flaps Envelopes are a leading UK based company specialising in the design and printing of envelopes. 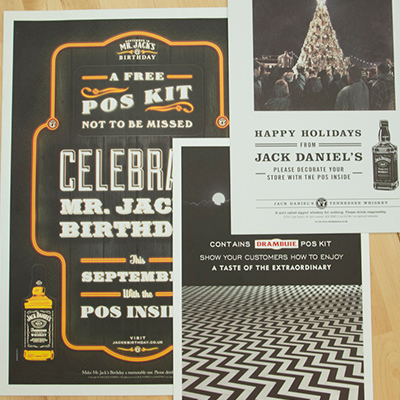 Established for over 40 years we have worked with a range of diverse clients from Jack Daniels to the Royal Shakespeare Company helping them to create envelopes which make an impact. 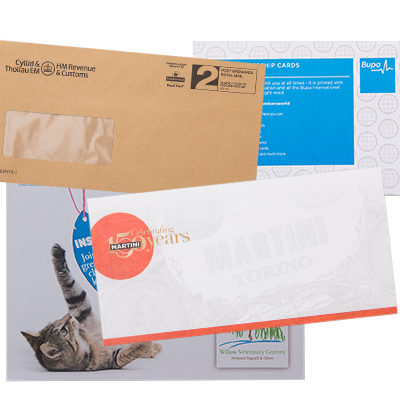 Over the years we have worked closely with blue chip organisations, major brands and SMEs and turned design ideas into direct mail reality. 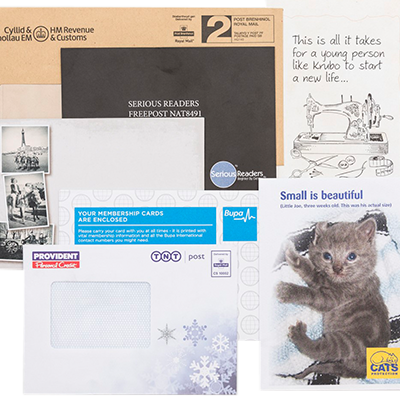 Direct mail is a much underestimated way of making a strong impression with your clients, both old and new. In today’s digital age the most obvious form of communication is through email. Unfortunately we receive so many emails these days that the impression they leave isn’t a long lasting one. 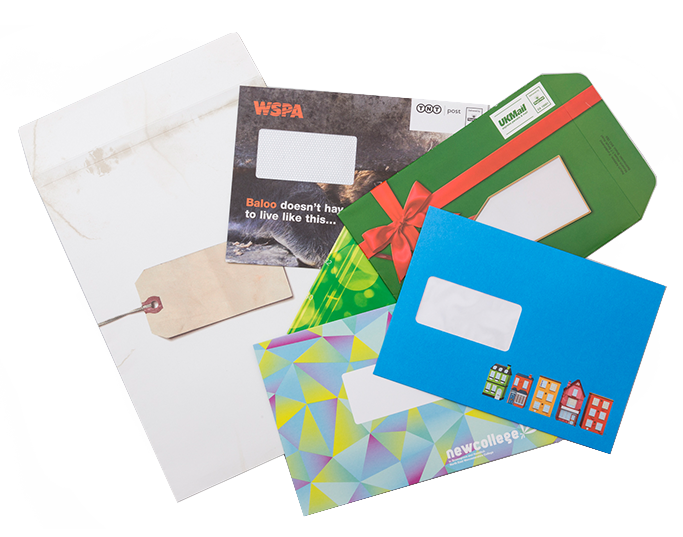 Direct Mail however does make an impact. 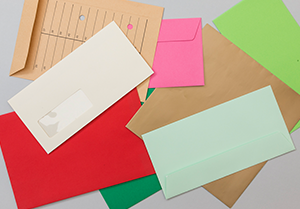 It’s unusual now to receive a personally addressed letter in an envelope and when we do receive one, it creates a response. If that letter comes in an unusual, thought-provoking and well designed envelope the response is ten fold! 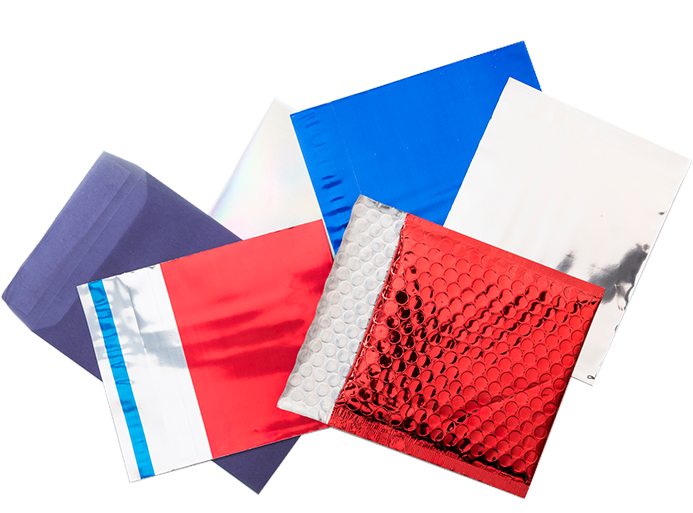 At Flaps Envelopes we take printing envelopes seriously. 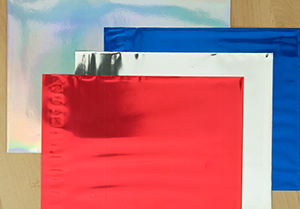 Our envelope production techniques and printing capacity has made us one of the most respected envelope printers in the country. 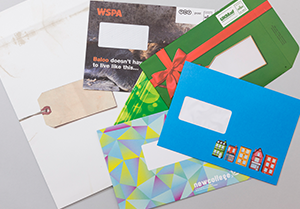 The finishing touch to any direct mail activity you do is a high quality envelope and we can supply them completely tailored to your requirements! 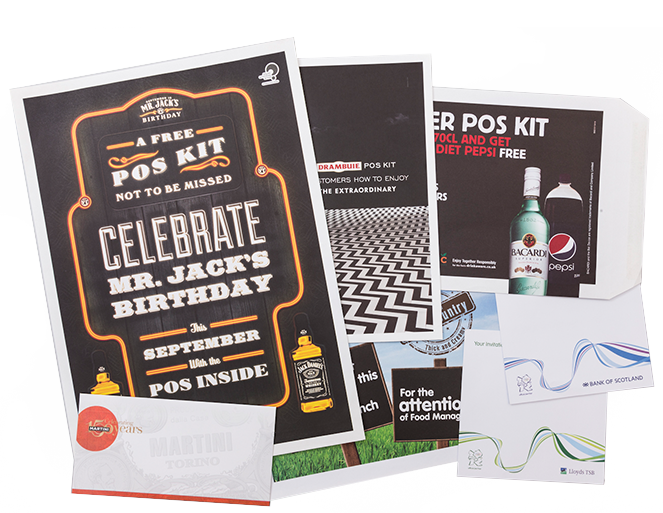 We work with printers, stationers, advertising agencies and design houses that often require something 'unique or unusual'. 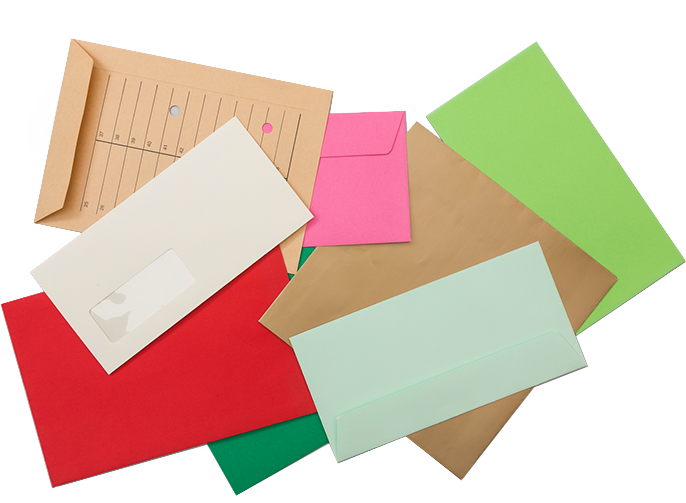 Whether your business is looking for something different or you just need a regular supply of plain envelopes then we can help. 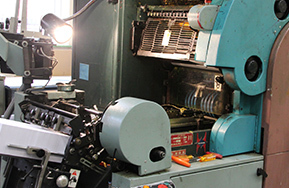 Call us now on 0121 693 7377 to discuss your requirements. We are a family run business that has been plying our trade since the swinging sixties! 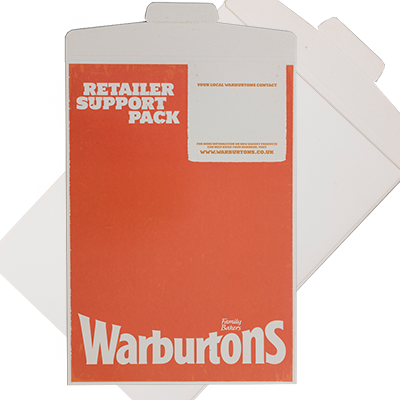 Established in 1968 Flaps Envelopes initially started in flat sheet lithographic printing and this served us well right into the 90s. 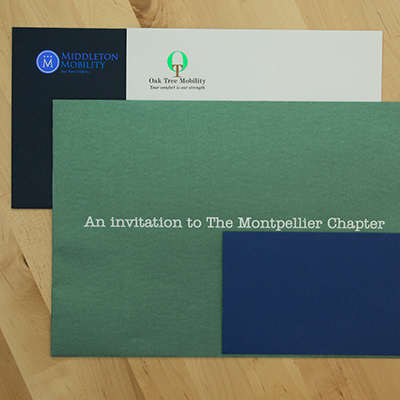 At this point we made the decision to sell the flat sheet side of the business and focus our expertise solely on the printing of ‘off the shelf’ and bespoke envelopes all printed to the clients’ own unique and exacting design. 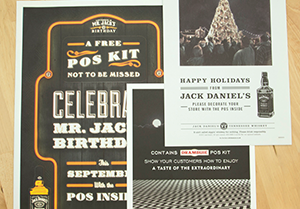 Subscribe to our monthly updates for new design and concepts.